Private contractor Laing O’Rourke has secured extra funding from its banks as part of a five year business plan, following on from the company’s announcement of their intention to sell their Australian business arm and restructure the company. Laing O’Rourke put its Australia business up for sale in January of this year following a review of its operations - and despite record profits - in an attempt to invest the money from the sale into growing its European business. Organisational changes across the company will be implemented next month, including a rumoured 200 redundancies which are currently out to consultation. The extra bank funding and closing out remaining legacy projects, along with the redundancies, are expected to align the business with its intended strategy and to maximise available market opportunities. 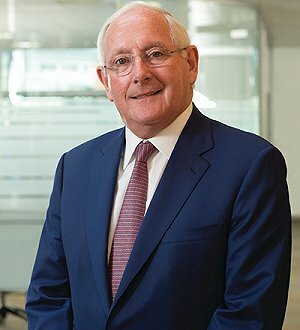 Commenting, Laing O’Rourke Chairman, Ray O’Rourke, said: “Stakeholders have shown significant support for our business plan by agreeing additional medium term facilities through to October 2018, reflecting their confidence in the direction of the business. “There are a number of organisational changes that have been made to align the business behind these plans and underpin our vision and strategy en route to becoming the delivery partner of choice through early engagement as an engineering and manufacturing enterprise. “The key drivers remain a clear focus on securing major projects and strategic frameworks, improved productivity on our projects, all of which is supported by an efficient overhead cost base.